Hello! Welcome to my online sparkle heaven! If we were already best friends you’d know I’m from England, I believe in love, pink, sparkle, confetti, champagne, note-taking, and those small golden moments. I could live in a field full of peonies, get lost relaxing on the beach, and I live to be inspired and creative. Lets get the common question out of the way first- Why is it the sparkle blog? Well I love to share my sparkle! I absolutely LOVE what I do, and through the years of blogging I have left a little sparkle wherever I go, in blog form that translates to - leaving my planning inspiration and tips for the world to read. 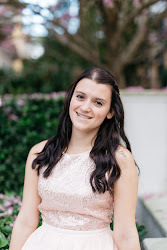 Not only do I share my sparkling professional advice and tips on my blog, but I also show my REAL work and showcase REAL venues and vendors. I enjoy sharing my sparkle with you. 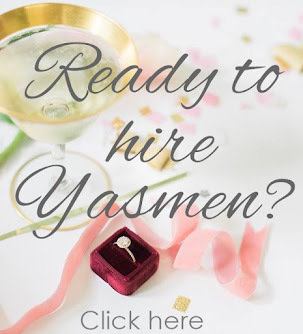 Yasmen Katrina Events is a Central Florida wedding and event planning boutique, designed for the romantic couples, with a little sparkle. I am your resource for the "how to" to the "where to go" and the confidence that it’s going to be executed according to your unique love journey!